Topics: Xero, Services, Bank Reconcilation, and Invoicing. One.com A S Copenhagen is the location of the Apache server. ns01.one.com, and ns02.one.com are its DNS Nameservers. 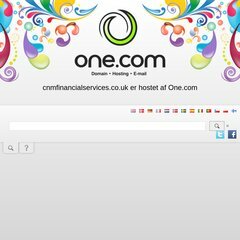 Cnmfinancialservices.co.uk's IP address is 193.202.110.198.